I don’t have exact measurements. 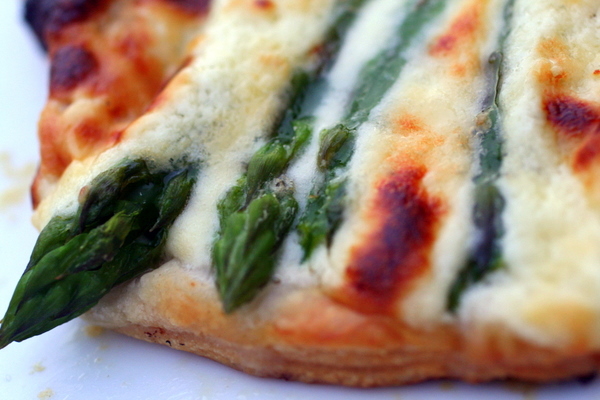 cook the asparagus for about 5 mins until just tender. mix the mascarpone with lots of grated parmesan to taste and season with salt and pepper. spread the cheese over the puff pastry leaving a border. 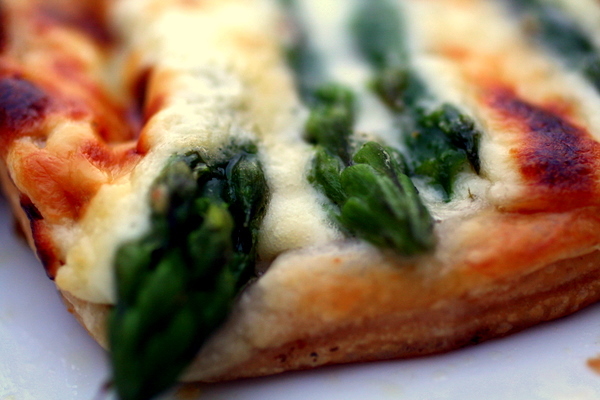 place the asparagus on top and sprinkle with more parmesan. drizzle a little balsamic vinegar over the tart. bake for about 20-25 mins until pastry is golden and serve. Yum yum and more yum!! LOVE asparagus so much!! This looks fabulous Lorraine!! Great photo. Nigel Slater has a great tart recipe in his “Appetite” book, very similar to yours but it involves carmelised onions and taleggio cheese. Maybe I’ll give them both a try.